Description - Looking to cover a patio or just want to create a small grass pad in your backyard. Now you can do that with ease with our Pre-Cut Catalina Turf Rolls. Easy to install and maintain, these fake grass rolls come in common, very easy to carry sizes great for all types of uses in your yard or patio. Featuring our CoolTouch technology, this artificial grass will transform any outdoor space into the perfect hang-out spot. Material – CoolTouch Polyethylene fiber with thatch. Weight – .76 Lbs. per square feet. Recommended Uses – Pre-Cut Catalina Turf Rolls are the perfect alternative to natural grass in your lawn and are typically used as landscape turf in back yards, front yards, and much more. Up to 15° cooler than most turf in direct sunlight. Looks and feels like real Bermuda Grass. This synthetic grass blade shape is featured as the face yarn for one our most popular synthetic turf lines. From Catalina and Catalina Premium, this fiber shape acts like a memory foam mattress, no matter the face weight. Once the grass blade is bent by foot traffic, it will return to its original shape. 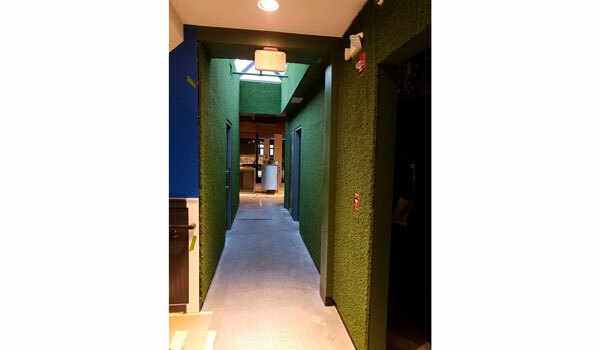 Equipped with the most advanced technology, our COOLTOUCH turf is a durable, realistic option for any landscape that experiences medium to high amounts of foot traffic. COOLTOUCH yarns are engineered with heat reflective color pigments and advanced U.V. inhibitors that reduce surface temperatures. A series of solar panel tests indicate that artificial grass featuring COOLTOUCH technology successfully reduces turf temperatures by 15% and up to 15 degrees. That’s a difference that you can feel. Don’t let the heat interfere with your life. COOLTOUCH makes any outdoor event a cool and pleasant experience. It’s perfect for any front yard, backyard, commercial property, public park, or municipality. 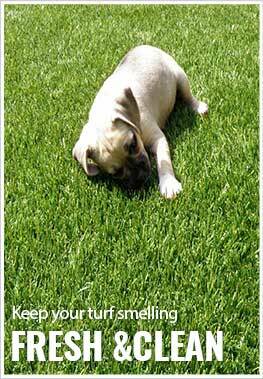 Like all of our turf products, it’s safe for children and is pet-friendly. Our products are guaranteed to last while you cool your heels on our turf for years to come. Just look for the badge and experience the difference for yourself. We've got more creative and used it for the walls. Looks Great! Please see the picture below. The job (Sports Bar) is not completed yet, so I couldn't provide a better picture right now.